Fact: CPG product launches are tough. If you’re a CPG firm looking to launch a new product, then your work is clearly cut out for you. How can you launch with a bang and sustain your success when the cards seem to be stacked against you? The truth is, there isn’t a single best strategy for launching effectively. But here’s what we can tell you: when it comes to launching a product in retail stores, there are typically five components that massively influence its success. We shed light on these key elements below. Check them out. No matter how great your marketing and execution are, you won’t be able to sell (or continue selling) your product if it doesn’t appeal to consumers. This is why thorough market research is critical. Getting into your customers’ heads and determining what makes them tick will allow you to come up with products they actually want. Another best practice? See to it that your product is in line with consumer trends. Timing could be everything here. If something is “in” with modern consumer trends and lifestyles, there’s a good chance that it will take off. For instance, over the past few years, health and transparency have been two significant factors in consumers’ purchase decisions. Dean Foods’ DairyPure brand of milk was able to capitalize on this trend by upholding its 5-Point Purity Promise. This promise entailed that the milk was a) free of artificial growth hormones; b) tested for antibiotics; c) continually quality-tested to ensure purity; d) originated only from cows fed a healthy diet; and e) cold-shipped from trusted dairies. That commitment spoke to consumers who were health-conscious about products, and this helped DairyPure soar to the top of IRI’s most successful CPG launches of 2016. When developing a product, ask yourself: what types of lifestyle choices are your customers making? Pay attention and see to it that your product — and messaging — align with those choices. And if you’re launching something entirely new or unique, you’ll need to invest heavily in consumer education. You can have a fantastic new product, but if people don’t “get” it, then your launch will fail. Heed the cautionary tale of Febreze Scentstories, a scent device that resembled a CD player and gave off scents every half hour. It was a new product and was quite different from traditional air fresheners. Unfortunately, the launch failed to resonate with consumers. According to the Harvard Business Review, the launch failed, in part, because Procter & Gamble did not invest in a good education strategy. Rather than educating and teaching consumers how the device works, P&G hired the singer Shania Twain to star in the product’s ads. This left consumers confused because many thought Febreze Scentstories involved music and scents. Don’t make the same mistake. If your product falls into a new or unique category, see to it that your customers are able to grasp it. Consumer awareness is incredibly important when launching a new product, so you’ll have to craft creative ways to get the word out. While traditional forms of marketing (i.e., press releases, TV advertisements, offline campaigns) will still have their place in modern CPG product launches, you’ll need to put a lot of focus on online marketing. Just because you’re launching a product in offline stores, it doesn’t mean you should overlook the digital side of things. Remember that shoppers are increasingly relying on the web when making purchase decisions. It’s very likely that they will encounter your product even before it hits the retail shelves. This is why it’s important to have a strong digital presence. Have dedicated web pages, social accounts, and resources to educate people about your product, and invest in SEO to ensure that those online properties come up in search results. If the item is sold online, encourage customers to share their positive experiences so that you can rake up some positive reviews. Beyond SEO, social media, and online ratings, try to craft a compelling digital strategy that’s in line with your offline launch. With the right approach, you can drive awareness, store visits, and sales at the same time. An excellent example of this comes from BestDay.com and MARS Chocolates when the two companies teamed up for an online sweepstakes to drive offline traffic. According to a case study by Wayin, Inc.: Participants are required to visit any OXXO (Mexico’s popular convenience store) and purchase a MARS chocolate – including M & M’s®, MilkyWay®, Snickers® and Dove ®. Customers can then head straight to the campaign page hosted on BestDay.com’s website, and click on the call-to-action button ‘Get Coupon’ to complete the form, submitting their name and email address, together with the receipt ID. In return, participants will receive a confirmation email with a coupon to redeem a $500MXN voucher for their next booking with BestDay.com. The effort resulted in an increase in footfall in OXXO convenience stores, as well as more sales for MARS chocolate. Additionally, the website BestDay.com was able to capture audience data while maximizing travel booking sales at the same time. We’ve said it before, and we’ll say it again: collaboration between the CPG firm and its retail partners is critical to success. Hash out all these details in advance and ensure that all your retail partners are in agreement with what the launch entails. And as you move along throughout the launch, keep communication lines open, and regularly exchange data and insights with your retail partners. Speaking of which, see to it that all of the launch’s stakeholders can access the right data and analytics. Ideally, information will be shared in real-time so you can see trends and get insights immediately. Arm your team with a data storage and sharing solution that enables stakeholders to import information into the system and share insights as soon as they’re available. What exactly should you track? Several measures may come to mind, but when it comes to a retail product launch, the most important metrics are the ones around inventory. Monitoring stock levels is essential. You need to stay on top of inventory to ensure that you can fulfill orders efficiently. One firm that did a good job with monitoring stock levels during a product launch is P&G. According to Market6, when the company launched Tide Pods in 2012, P&G worked closely with key US grocers to track daily store level sales and stock levels. In doing so, they were able to prioritize and schedule warehouse shipments to stores that were at a high risk of stocking out. This helped minimize out-of-stocks and keep service levels at or above 98.5%. Last but not the least is in-store execution. How your products are displayed, the positioning of your promotional materials, and the frequency of replenishment are just some of the things that you need to iron out before the launch. See to it that you have given your retail partners all the materials and resources they need to execute correctly. This may include planograms, photos of what to do and what not to do, brand guidelines, and more. 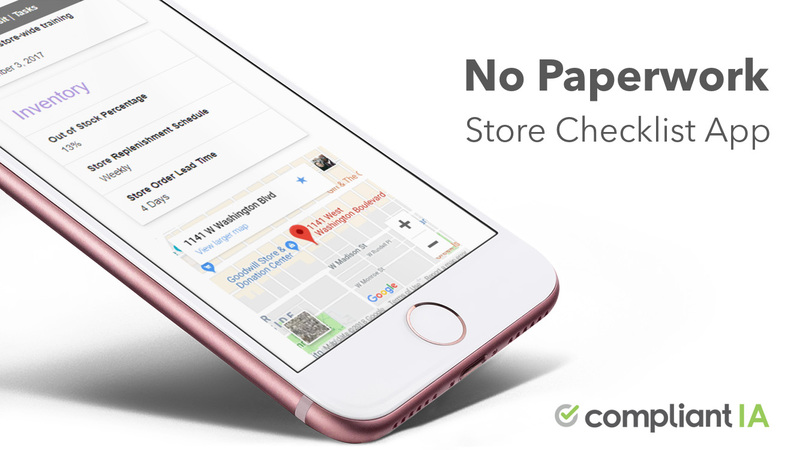 And when the campaign is live, conduct store audits to evaluate in-store execution. Visit your retail partners and confirm that your launch guidelines and standards are met. Thoroughly document each visit and make sure the necessary information is uploaded into your system ASAP so all stakeholders can view the audit results. 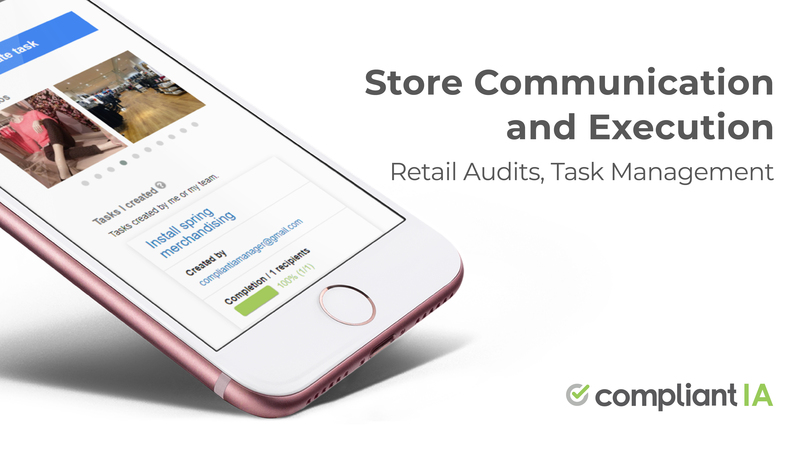 To make this step easier, use a cloud-based retail audit and task management software that allows you to record and share information in real-time. Plenty of factors come into play when you’re launching a new product in retail, but the five essential components mentioned in this post are some of the most significant ones. Managing all five components is a challenge, but it’s entirely doable if you have the right product, a healthy dose of creativity and an open and collaborative relationship with your retail partners. Top it off with the right data and tools for in-store execution, and you’ll set up your product launch for success.